An iconic game steeped in history, Roulette is known as the queen of casino games – for good reason. It’s great fun and delivers a thrilling experience, particularly when the stakes are as high as a R500 000 Knockout first prize. Tsogo Sun’s Roulette Knockout, which offers a total prize pool of R1 Million and a guaranteed first prize of R500 000, kicked off on 22 May at Montecasino, Gold Reef City and Silverstar. With players from not one but three casinos contributing to the winnings and 100% of the R100 buy-in going straight into prize pool, the chances are good that the winnings could be even higher than the guaranteed amounts. “Every Tsogo Sun group and regional tournament has seen the prize money being increased because of the enormous popularity of the tournament, which can be attributed to the low buy-in of just R100, making it possible to transform a hundred rand note into thousands or even millions. This is exactly what happened to the winner of Tsogo Sun’s 2015 Roulette Knockout tournament when a student spent just R100 on the buy-in, played once and won R350 000. 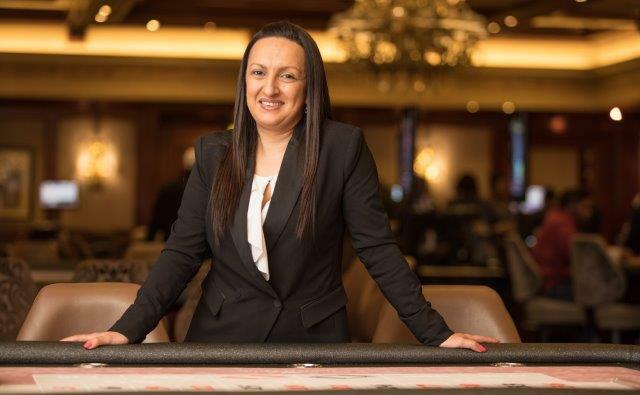 Every year the tournament starts out with a guaranteed prize pool and every year the prize pool increases because every cent of the R100 buy-in goes into the prize pool,” comments Tables Manager of Montecasino, Caroline Naidu. Shedding some light on the game of black and red, Caroline explains, “Roulette doesn’t require a lot of learning to play and it offers almost as much winning chances to a first-timer as to a seasoned player. There are 11 different ways that you can wager, resulting in 161 betting spots on the wheel layout. An American roulette wheel has 37 numbers—1 to 36, a 0. Having worked in the casino industry for over 18 years, Caroline has witnessed all manner of superstitious behaviour from players calling on Lady Luck to shine on them. “We see lots of mascots and lucky charms on the tables, and people who will only sit or stand in a particular position, or make sure everything on the table is facing in a certain direction. We even have people throwing salt or standing up in the middle of the game to walk around their chair before resuming play.